Your cover letter is your first impression with a company, even before an interview occurs. 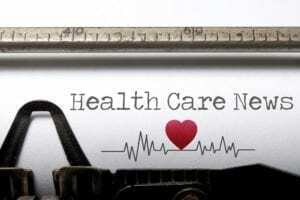 There is some debate among Healthcare IT job seekers now about the importance of cover letters, now that email and online applications have replaced postal mail. However you apply for a job, though, a cover letter is still very important, and making yours stand out from your competition is equally important. So how can you make your cover letter unique, without looking desperate for attention? Here are a few guidelines to writing an effective cover letter that presents your personality in a way that sets you apart from the competition. Don’t use a template : The most effective way to write a unique cover letter is to avoid templates or form letters. Not only will the reader be aware that you’ve put some thought into your introduction this way, but it will also open you up to different formats that will allow you to express your thoughts in the most concise manner. Maybe you want a bulleted list of keywords at the top, or you have particular experience in an aspect of the job, and want more time to explain – don’t pigeonhole yourself into skipping it because it doesn’t fit a pre-made template. Make the cover letter appropriate for a quick scan : Sure, you want to tell a potential employer all about why you’re the best, but chances are the HR staff doesn’t have time to read 50 individual cover letters. Make your letter easy to digest with a quick 5 second eye scan. Include your HealthcareIT skill set in an easy to read bulleted list at the top, or format your letter with the main points in bold text. People start skimming when they hit a block of text, so tell their eyes where to go. Make sure they can see all the most important information within 5 seconds of opening your email. Remind them that this is just a highlight of your full resume : The point of the cover letter is to tell the employer at a glance why they ought to bother looking at your resume. So don’t forget to remind them that it’s attached. Include links to your information in a clickable format : You may not have your own website, but you probably (and should) have a LinkedIn profile. Even better, you may have a work appropriate, or industry related blog. Use these to let employers get to know the real you. Let them see that you’re an expert in the HealthcareIT field by sharing a blog you’ve created, or an article you’ve written. Let them get a glimpse of you that’s deeper than the resume. This is important though, make any links clickable. They probably won’t bother typing in a URL. Make your text catchy, just in case they do read it : If you have interested an employer enough that they read your full cover letter (keep it short, though), then make sure that what you do write is well written. Aside from making sure it’s grammatically perfect, make it an interesting read, too. Add a bit of humor, or a clear opinion about something. If your cover letter is just written information, then it’s no more informative than your resume. Do You Need An EMR To Make ACOs Work?